Utz collects Meissen porcelain with a passion. His collection, which he has protected and enlarged through both World War II and Czechoslovakia's years of Stalinism, numbers more than 1,000 pieces, all crammed into his two-room Prague flat. A fascinating, enigmatic man, Kaspar Utz is one of Bruce Chatwin's finest creations. And his story, as delicately cast as one of Utz's porcelain figures, is unforgettable. 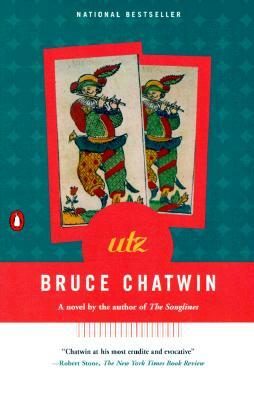 "Chatwin's Prague is a palpable place. . . . The modeling is deft, the color bright, and the miniature scale of the piece displays a decorative mantelpiece charm."